Bali village is 9 km far away from Lameriana Hotel. The beach, with the white sand and the green waters, has four bays, which form beaches with calm waters, as they face the West. They are all kids friendly and well organized with umbrellas and sunbeds. There are a lot of ground watersprings that make the waters pleasantly cool. Bali used to be a small fishing village, but over the years has become a quiet tourist village. It is a very attractive and romantic place, combining the sea with the mountains. There are a lot of taverns, restaurants, little shops, diving school, bars and discos, as well as a surgery and pharmacy. Panormo is 6 km far away from Lameriana. It is a quiet tourist village, which hasn’t lost its traditional character dispite its development in the recent years. The picturesque appearance of the village, the beautiful sand beaches and the calm, emerald green waters have played their role on that. In Panormo there are actually two main beaches and a few smaller ones. 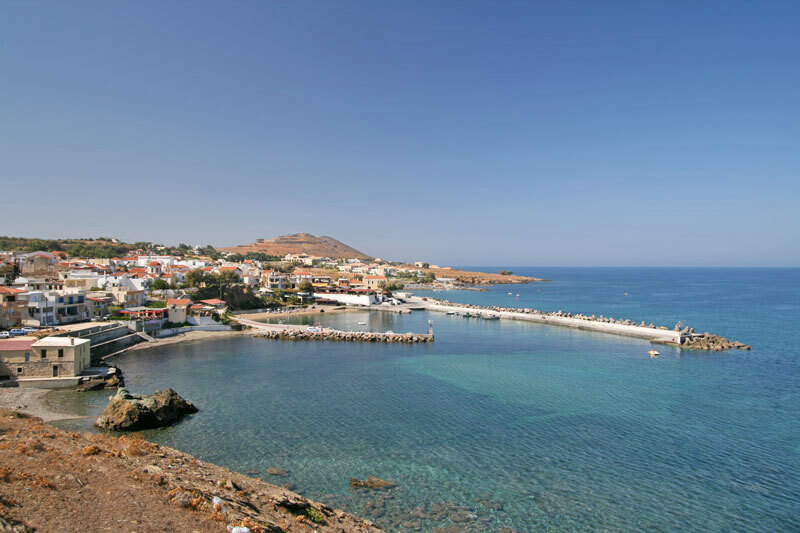 As the name implies, Panormos is a natural harbor with calm waters. 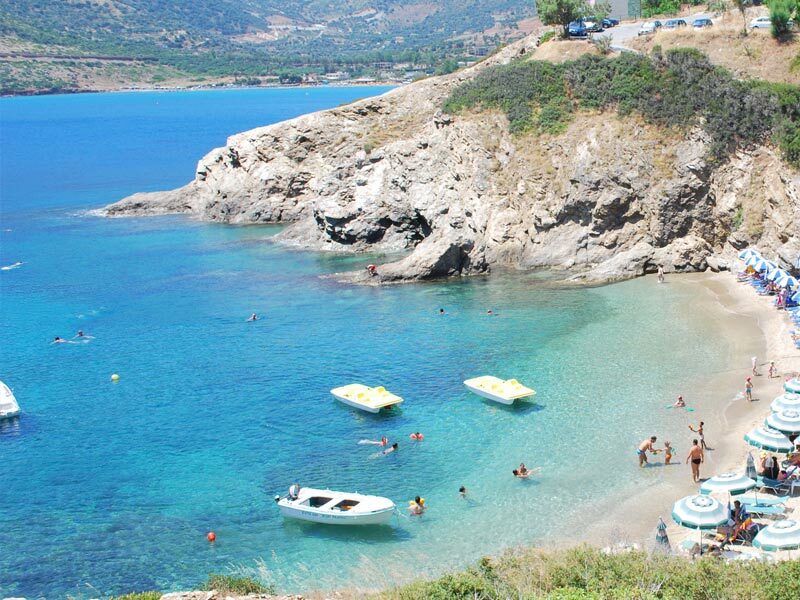 The harbor “Limanaki” beach in front of the village is the port of the area, under the ruins of Milopotamos Castle. It is sandy and has clear waters, ideal for children, as it is shallow and well protected from winds with piers, where the boats tie up. It is organized with umbrellas, sunbeds, showers, water sports and other facilities around. Geropotamos is 11 km far away from Lameriana. It is named after the homonymous river that flows into the beach. The small beach is sandy and has clear waters, which are very cool because of the river, which forms a deep pool near the beach. It is organized with umbrellas and a canteen that offers soft drinks, water and snacks. Despite the easy access, it is always quiet and never crowded. However, the orientation of the beach, makes it vulnerable to north winds. The area is of great interest, because of the river, which is a natural shelter for rare birds and animals. 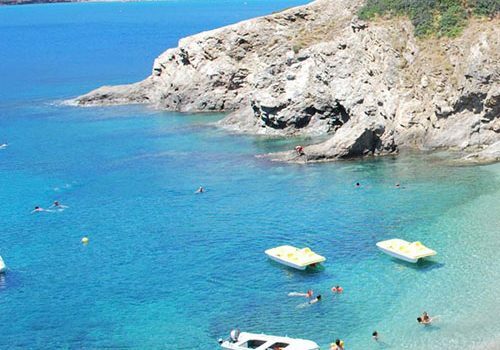 The west coast of Geropotamos is full of caves, where rare Mediterranean monk seals and nesting birds of prey live. The beach lies beneath Geropotamos bridge and can be easily accessed by car.